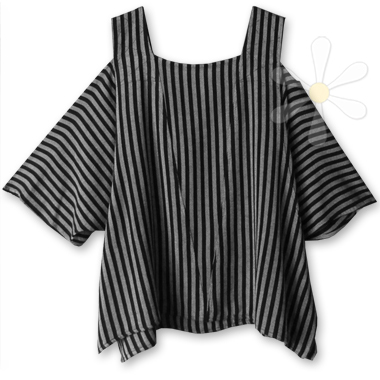 Luxurious stripes are the star of this rare and unique top... IN STOCK NOW! It's woven on traditional looms in Morocco, the YUMMIEST cotton/rayon susti (susdi), which I call the cashmere of cottons... if you don't know susti yet, you'll wonder how you lived without it!